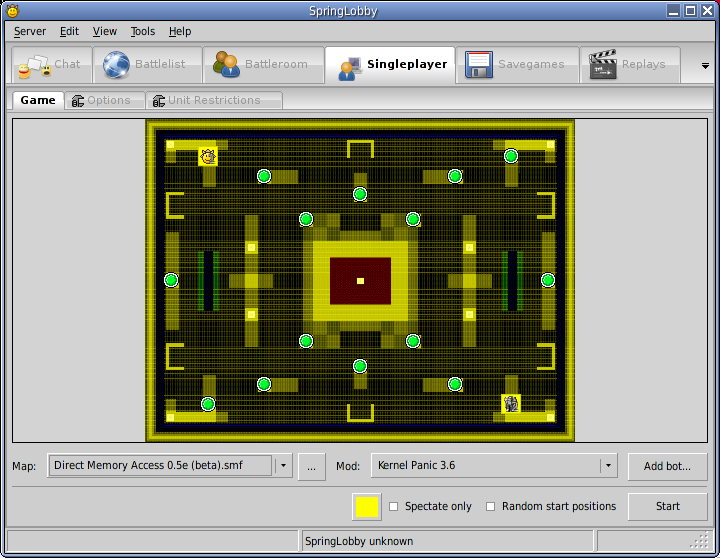 SpringLobby is a free cross-platform lobby client for the Spring RTS project. Depends only on wxWidgets (later also boost) so works on many more platforms than Spring itself. Tc, original author, responsible for basically all features. Semi, responsible for services, site, build and packaging, portability etc. Mostly fixed bugs and refactored the code. Braindamage, some features and rpm maintenance. Retired Team Members: Tronic, C++ and design mentor, refactoring. This page was last modified on 22 October 2012, at 12:10.